A treasured Hyde Park institution is gearing up for a new chapter. 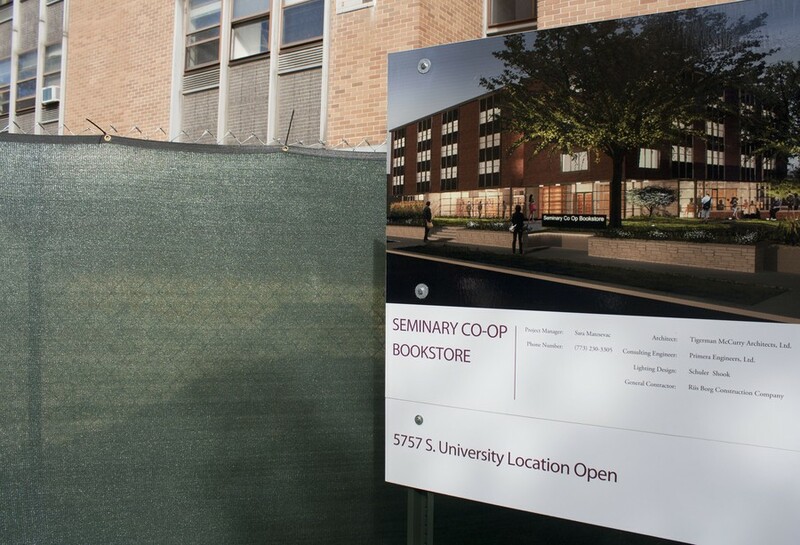 Later this fall, the Seminary Co-op Bookstore at East 57th Street and South University Avenue will move one block east to the McGiffert House at 5751 South Woodlawn Avenue. According to the University’s Facilities Services, renovation of the new location began on July 18 and is slated for completion on November 30. The move, originally scheduled for this summer, was delayed in order for Facilities Services to obtain a construction permit. Both the bookstore and the Chicago Theological Seminary (CTS), which moved into a new building in January, are leaving 5757 South University Avenue to make room for the Becker Friedman Institute for Research in Economics. The University bought the building currently housing the Co-op in 2008. Co-op manager Jack Cella hopes to move into the new space immediately following the renovation. “Late November is an ideal time. Holidays are a big time in the bookstore world, followed by the beginning of [winter quarter],” he said. The store is planning for a soft opening, followed by an official unveiling later in Winter 2013. “It will give us time to get the kinks out. There is a lot of detail involved [in moving],” he said. The 9,200 square foot layout of the new location will be more open and contain an independent cafe and windows on the south end of the store. The Co-op’s increased size will allow for events such as readings and discussion groups. According to Cella, the bookstore will be closed for no more than a day or two in order to transfer the books from its current location in the former CTS basement to the new building, which will already contain new shelving. “We won’t have the site-specific shelving we have now,” Cella said, referring to the intricate shelves built around and, in some places, into the winding pipes of the CTS basement. Despite the changes, Cella hopes to preserve the labyrinth experience of the store while improving the overall layout. Cella has had substantial input in the planning and execution of the move. For the past year, he has met regularly with University officials and architects from Tigerman McCurry, the firm that designed the new space. “It has really been cooperative. I think the architects, the University, and everyone involved want to provide something that customers will be happy with,” he said.